Adventures of a Technical Mexican: A sueño come true. When I was a just a small kid and was asked what I wanted to do when I grew up I would say I wanted to be Garfield. When I got a bit older (8 or 9ish) I would say I wanted to have a restuarant and farm. Apparently I was way before my time with the whole "slow food" thing. Back when folks just called it "food". It's a strange feeling when you've vaguely dreamed of doing something for most of your life, without knowing what it really looked like, and suddenly it's what you are doing. No I don't own a farm, or a restaurant, and it turns out I don't really want to. But what has happened is that I am now the proprietor of a bed and breakfast style villa in the tropics of Mexico. Rather my brother Mateo and I, and really the rest of my immediate family as we tend to do things together. 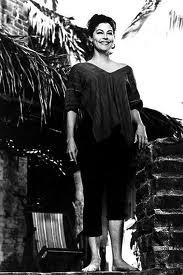 I, however, have the honor of being the Ava Gardner a la "Night of the Iguana" character in this story (seriously if you haven't seen it, do so), the hostess atop the tropical hill above the sea. We are proud and excited to say we will now be taking the reins of Casa de los Sueños in Yelapa. Some years ago we met Shannon and David (and family) after they acquired and beautifully restored the historic yet very neglected Shapiro house. The property right next door to our own Los Arboles. We became dear friends and happy neighbors for a good couple of years. Sadly, for us and the community of Yelapa, David and Shannon have decided to end their time as business owners here. There are offers they can't refuse, grandkids, and apparently they like being cold a lot of the time, so they are packing up and heading back up to Canada. There are not words for how much I, and many more, will miss them here (luckily it's actually in the contract that they have to come visit). The serendipity of this transfer is, to me, the most perfect of things. A real reminder that when we put our minds to something, even when we aren't quite sure what it is, we have the power to make it happen. There is a lot of hard work, true challenges, really fun times ahead, and we are very excited to get to it! Jesse, I just ran across your blog and thought I'd say hello. I knew your parents, and was friends with Peggy...I house sat for Peggy, in fact, when Peggy made an extended trip to Chiapas, and lived in Yelapa for about 6 months in 1972-73 in the house called Casa Emy overlooking the lagoon/river. Lots of great dinners and holidays were spent there, but like many, I wanted to return to San Francisco and Miami, go to grad school, etc and never regretted doing so. I hope you're doing well. I would like to know what happened to everyone, if possible!